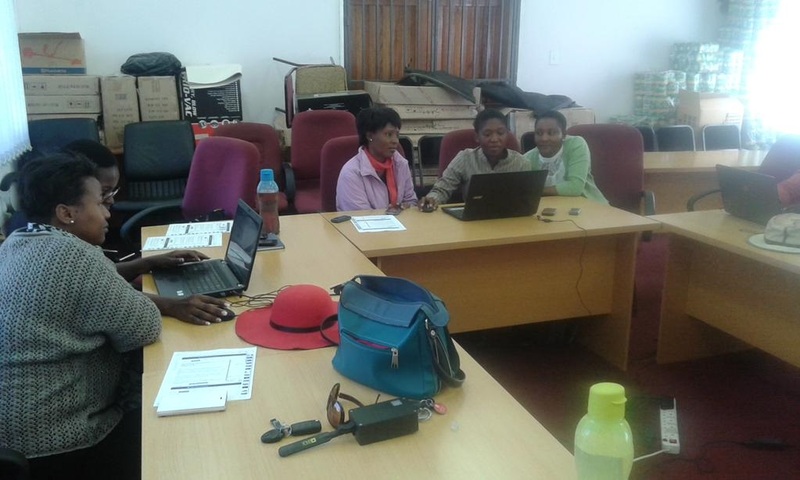 On Wednesday the 15th April we held a Mapathon in the District Council offices in Mohale’s Hoek. We organised for use of the Ushaidi BRCK as backup to the wifi network available in our offices. Our network is weak enough, but because we were using only a handful of laptops and we used JOSM we were able to go online only when we were uploading the edits. Having reserved the room I called the Mapathon and invited Planners and friends to come from Quthing to our south, and Mafeteng to our north. 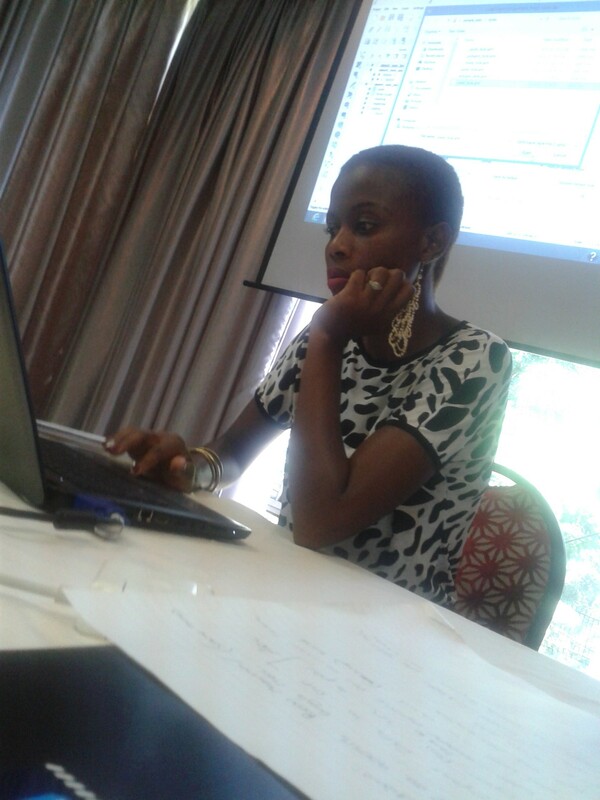 Overall this was a Mapathon for the South West Districts of Lesotho. Ten of us gathered and got moving, with a good deal of demonstration at the beginning for the completely new users. An interesting aspect of this mapathon was that at particular phases of the day we were joined by the Portmarnock and Red Bank school mappers, who have been helping us before. The Map below shows how the board lit up in the evening as our friends in the USA joined in to help us. We concentrated our efforts on Mohale’s Hoek and Quthing. 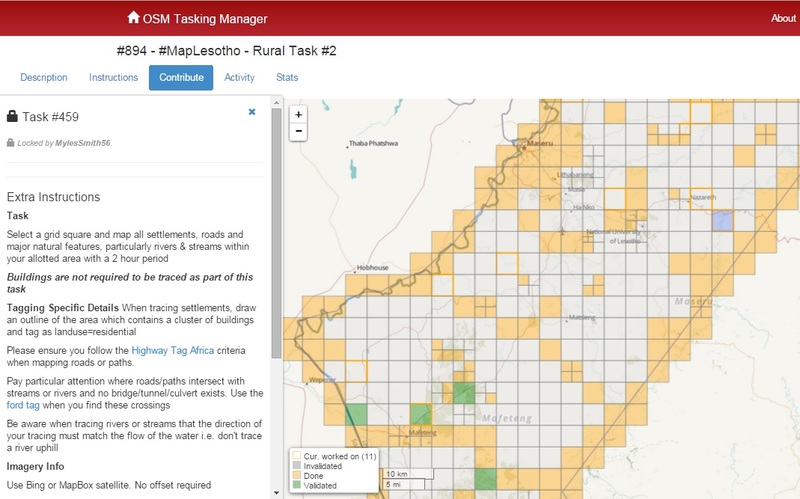 It was great to see on OSM stats that we were just 10 out of 36 people doing #MapLesotho on the 15th April and that there were 66 people the following day (probably finishing their tiles and the American mappers from Red Bank). Thanks to all those people. On a local level in Mohale’s Hoek we now that we know JOSM and our limited wifi network work well enough to do a mapathon everyone feels we should map again soon.